Resident Evil is old enough to vote as of March. (That means its 18 years old). Its fanbase also has aged commensurately, Capcom said in a recent investor guide. This is not really a good thing, the company delicately points out. 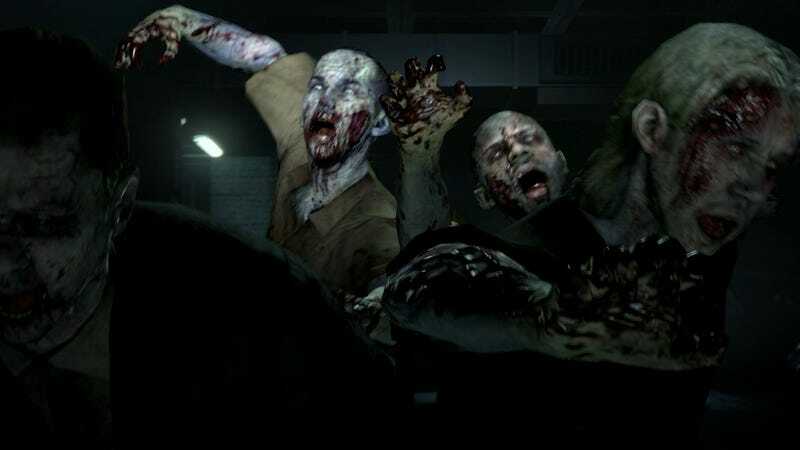 "The longevity of the Resident Evil title also comes with problems," Capcom said in this white paper on the history of Resident Evil. "The main user group is now in their late-30s to 40s, and the average age is also going up as the series goes on with an increasing possibility that some percentage of the existing users will outgrow games altogether." Y'hear that, RE fans? You are old. And you may give up games at some point. "Therefore, there is a constant need to gain new users," the document notes. Some cross promotion in fashion magazines was a start. "However, obviously game information is not carried by fashion magazines." Obviously. Since then, Capcom tells investors, they've been "collaborating with fashion brands which are popular among young people," and have done things like open a Resident Evil restaurant in Tokyo. "These collaborative events are opportunities to be enjoyed by non-gamers as well, so it is important to plan them so that anyone can enjoy them and not aim them at a section of our core gamers."